Established in 1933, the Kenosha Public Museum is an accredited natural science and fine arts museum located in the heart of beautiful downtown Kenosha Wisconsin. The facility shares a campus on the beautiful Lake Michigan shoreline with The Civil War Museum. The Dinosaur Discovery Museum is a quick FREE electric streetcar ride away from the main campus. Permanent exhibits include: The Wisconsin Story, Woolly mammoth excavated in Kenosha County, four seasons Native American Village, and a fine arts gallery displaying world class art by Chagall, Picasso, and Dali. The Children’s Field Station offers a popular hands-on arts and sciences activity area. Enjoy the changing exhibits and free family programs and events offered all year long. The Museum's gift shop is the perfect place to shop for everyone on your list, offering a great selection of unique collectibles, souvenirs, and cultural items from around the world. The Museum is handicap accessible, and visitors are welcome to bring their own wheelchair, walker, or other device. Service animals are welcome as well. Stop at the front desk for more information. The Kenosha Public Museum and Civil War Museum offer a perfect venue for corporate events, weddings, children’s parties, and bus tours. Enjoy a walk along the lakefront or view Lake Michigan from the viewer’s telescopes inside the climate controlled buildings. The three Museums’ are owned and operated by the City of Kenosha, enriching the cultural and community life of Museum visitors and patrons of the Kenosha area and greater region. The Kenosha Public Museums collect and conserve artifacts and specimens, develop diverse displays and exhibits and present educational programs for all ages. Located just 25 minutes from Milwaukee and 55 minutes from Chicago, the Kenosha Public Museums make the perfect destination for school field trips for students of all ages. Educators, the Kenosha Public Museums’ are ready to welcome you and your students to experience a wide variety of educational experiences to enhance and enliven your classroom curriculum. Museum programs emphasize the Common Core Standards use of original sources, exploration of multiple perspectives and inquiry-based learning. Holding a real dinosaur fossil, feeling the softness of an animal pelt, seeing actual slave shackles, and feeling the weight of an Ice Age mammoth tooth are experiences that aren’t possible through print or digital media. These hands on experiences under the guidance of the Museums’ staff and volunteers, introduce new vocabulary, and inspire students to ask questions to solve problems, and to put themselves into the shoes of a scientist, anthropologist, or historian. We look forward to your visit to the Kenosha Public Museums and bringing learning to life! The Dinosaur Discovery Museum is the only museum to exclusively focus on the link between birds and meat-eating dinosaurs, one of the most complete known fossil records. In association with the Carthage Institute of Paleontology (CIP) and the Institute’s on-site laboratory, the Museum presents current, ongoing research in the study of dinosaurs. The Museum collaborates with the CIP in research, field work, and education programs. This includes the collection and preservation of dinosaur specimens for its research collections. The main gallery tells the story of how non-avian theropod dinosaurs like Tyrannosaurus Rex, and Allosaurus gave rise to the avian dinosaurs - the birds. This is one of the most complete transitions known from the fossil record and can be seen in action in the Museum. The gallery is a primer on dinosaurs – what they were, how we know they existed, what they looked like, how they behaved, how and why they were alike and different, and what happened to them. The dinosaur skeletons in the main gallery are casts of actual dinosaur fossil bones. The lighter bones are casts of actual fossil bones. The black bones show those missing from the original skeletons but sculpted to replace them. Each dinosaur is labeled with information about the species. Panels on the gallery wall answer the most-asked questions about dinosaurs. You can listen to the environmental and animal sounds in the exhibit gallery. Step back into the Mesozoic era with outdoors sounds in different terrains and weather conditions during the Age of Dinosaurs. The Dinosaur Discovery Museum offers educational activities and programs throughout the year, and along with the Kenosha Public Museum on Sunday Fundays. These are free, drop-in programs for adults with children, sponsored by the Friends of the Museums. Join us on select Wednesday evenings for Dinosaur Discussions, a series of lectures great for the whole family. Whether you’re an amateur paleontologist or have a budding one at home, these talks are sure to excite the imagination. The Museum offers hands-on learning and fun at Dino Digs every Saturday and Sunday from 1-4pm, FREE for children ages three and up. Come and get your hands dirty and experience the excitement of excavating a dinosaur fossil! Donning safety goggles and using paleontologist tools, children become amateur paleontologists and dig for dinosaurs at our simulated excavation sites. 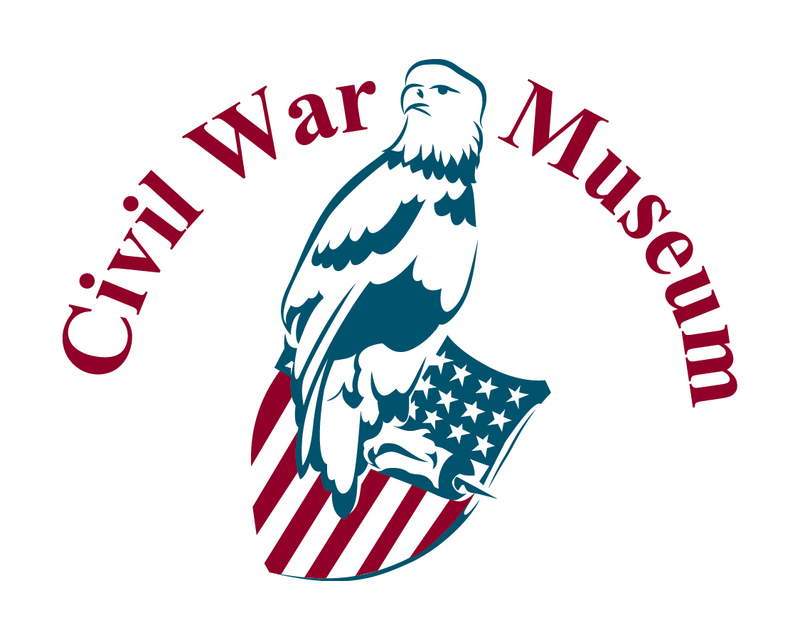 The Civil War Museum is like no other Civil War museum in the country. The museum focuses on the Civil War from the perspective of the people of the six states of the upper Middle West: Illinois, Indiana, Iowa, Michigan, Minnesota, and Wisconsin. These six states sent over 750,000 men to serve in the Union army while providing much of the foodstuffs and raw materials necessary for the northern states to carry on the war. Through the use of personal stories and narratives, the Museum also explores how the Civil War impacted the people on the Western home front before, during, and after the war by connecting the prewar causes to the postwar effects. “The Fiery Trial” tells the personal stories of the men and women of the six Upper Middle West States through state-of-the-art museum technology, life-size dioramas, and interactive engaging exhibits. Visitors travel back in history to the social, political, and economic influences that contributed to the Civil War. From the home front, to the railroad and waterways, to the battlefront and back home again, the Civil War is seen through the eyes of soldiers, nurses, spouses, children, clergymen, slaves, tradesmen, and the others who lived it. Experience the battlefront, the incredible logistics and resources that were required to mount the war effort, and the deep emotions that tore families apart. The Civil War Museum is proud to honor all US soldiers and veterans. Reflective of the theme, “Solidarity of Soldiers,” depicts Civil War soldiers huddled around a campfire under a twilight sky, surround by life-size soldiers from the Revolutionary War to present day conflicts. These soldiers all have a common bond; the waiting, the anxiety, and the camaraderie shared in those quiet moments between battles, and a common sense of duty, patriotism, and honor, no matter where or when they serve or have served our nation. Around the gallery perimeter are displays of artifacts and memorabilia from each war. The Veterans Terrace, surrounding the exterior of the Museum, is comprised of bricks honoring veterans of all wars. The Theatre Program “Through Their Eyes”, uses the stories of people who were touched by the Civil War or slavery, giving firsthand accounts written by the people themselves, as the basis for the Program’s scripts. Professional actors and actresses portray each of these authentic historical individuals. The performances are 30 to 45 minutes in length, including a brief question and answer session. Performers are always available after the performance to meet the public. Here is a quick example of a portion of a performance: Listen as a man reminisces about a long-departed friend. He explains how he knew his friend but questions if he really knew him. As you begin to understand his friend’s character, you’ll laugh along with the man as he tells the story about his friend’s peculiar reading habits. You’ll feel the joy as he tells us about his friend’s first attempt at public speaking; and you’ll feel the pain as he relates how his friend sealed his devotion to the cause of freedom with his own blood. The two men are William Herndon and Abraham Lincoln.eIf you are unable to come to the Civil War Museum, we will bring the actors to your school or organization! This program is recommended for adult audiences and student audiences 4th grade and older. The program includes a 30 to 45 minute performance, a 10-minute question and answer session with the actor “in character”, and a 10-minute question and answer session with the actors as their modern day selves. The first session allows the audience to learn more about the characters and their viewpoints, the second allows the actors to make connections between the past and present without compromising the first-person interpretation. Scheduling should be done a month in advance. Educators receive standards-based pre-visit information and post-visit activities. Call 262-653-4433 for more information and fees.